Home » Master Blaster’s say about the Adelaide victory of Team India. Master Blaster’s say about the Adelaide victory of Team India. Captain Virat Kohli’s century in Tuesday’s win of Team India at Adelaide but equally or more significant was the finishing performance of MS Dhoni and his partnership with Dinesh Karthik, the legendary Sachin Tendulkar observed. Sachin reckons that Mahendra Singh Dhoni from now on will be more like an anchor who would “control the game till the end”. “Tuesday’s contribution was good. 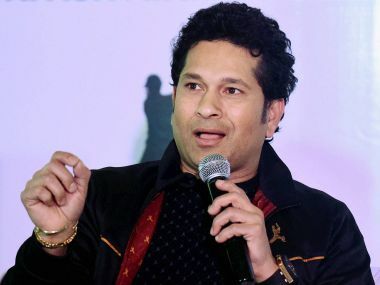 In the first match, I felt him a little rusty but he walked out in the second match thinking differently and from ball one, he looked like a different player”, Tendulkar told on his app 100MB. Dhoni shines both as an anchor and a finisher but Sachin is happy to see him take the control of the game till the end. “He is someone who loves to play a few dot balls, understand the wicket, how the bowlers are bowling and like to take the game to the very end. That’s exactly what he did. He is going to be someone who is to control the game from one end”, Sachin observed. He was also in all praise for Dinesh Karthik who stood by Dhoni as a finisher and complementing Dhoni’s role to the end of the game.”I felt like Dinesh also played rather well as he came and finishes the game. It was a fantastic contribution from him as well”.